Are you looking for a reverse osmosis system? If you are consistently getting water that does not taste right or emits an unusual odor, a reverse osmosis system can help. Reverse Osmosis filters your water for contaminations. Investing in an RO system can help provide you with clear, clean, and soft water that is free from impurities. 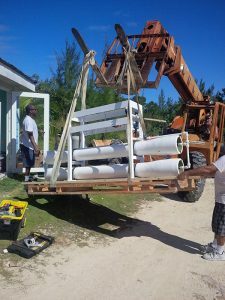 It is a cost effective alternative to water treatment systems. At Sea R.O. Watermakers, we offer reverse osmosis system installation, repair, and maintenance services for both residential and commercial clients. We have been serving Florida and out of state clients for many years, and we have remained committed to improving the lives of our clients. The most important issue in your home is the water quality. You need it not only to drink, but to clean, cook, and bathe as well. There is little to no point in having an elegant plumbing system if the water it transports is contaminated or otherwise problematic. Therefore, we thrive to help you with such problems by offering reverse osmosis system services throughout Florida. We install the RO faucet which requires a large hole in your sink that can accommodate the faucet/spigot. Leakage is probably the most common problem associated with an RO system. If you notice any water around the RO system, it’s a sign that the system may be leaking. Water leakage should be addressed quickly because it has the potential to do significant damage. Call us when you notice a problem, we will diagnose it and provide a solution. Our team is highly experienced and capable of quickly identifying and fixing any RO system problem. To ensure quality water, a periodic replacement of RO filter is necessary. Changes in the taste, color, and smell of the RO produced water usually indicate that a filter replacement is required. When you notice any or all of these indications, contact us; we will replace the filters professionally in no time. For your convenience, we can schedule periodic RO filter replacements to optimize your reverse osmosis system’s performance. We offer exceptional reverse osmosis system services throughout Florida, including the installation, repair, maintenance of a new system, as well as the replacement of an old one. We have extensive experience and expertise in installing various types, brands, and sizes of reverse osmosis systems. 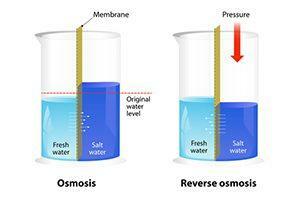 Learn more about our reverse osmosis system services at 954-527-5282.